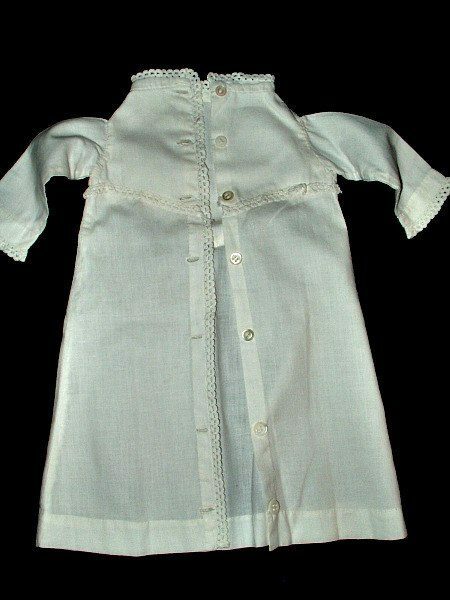 A lovely doll’s dressing robe dating from the late Victorian era. It is a nicely made gown with hand crochet edging the collar, sleeves and forming a “V” shape design to the front and back of the garment on the bodice area. Dropped shoulders, a style to this era.